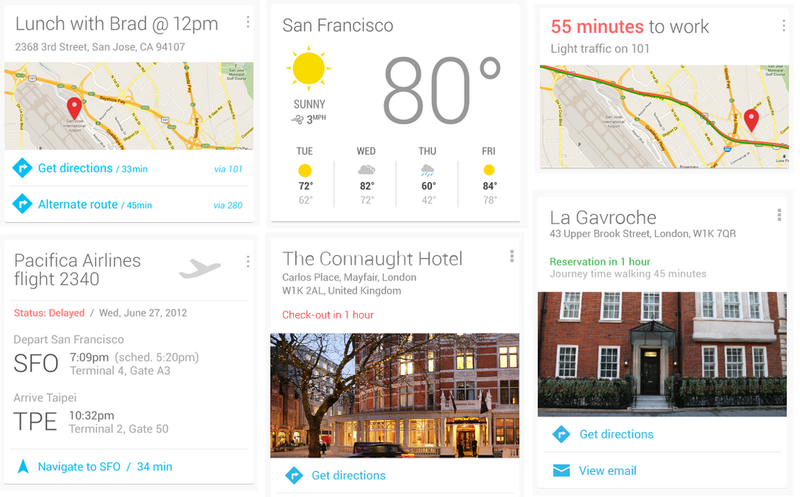 Google Now isn’t exactly new, in fact, it has been around for a while now. However, it has been constantly updated by Google, and is definitely not in the same shape it might have been a while ago. Now, it has evolved from an alternate way to search for you content, to a surprisingly capable tool. 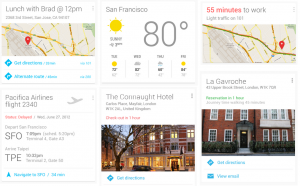 However, one of the big faults of Google Now is that it doesn’t really tell you what it can do: it just expects you to stumble upon its features. 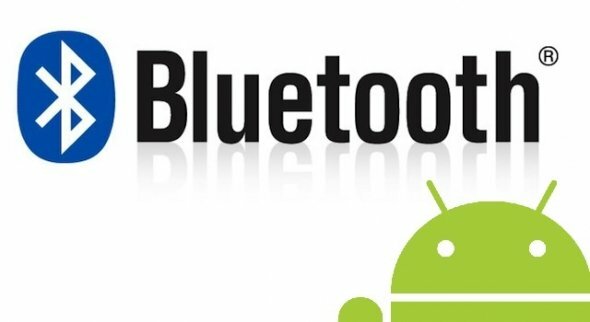 Hopefully, this post will elucidate you on some of the more obscure commands you may not be familiar with, and present some of the new features that have been introduced with the last few updates. 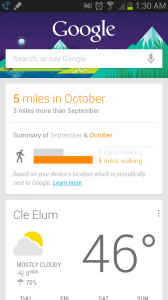 So, without further ado, check out our list of Top 30 voice commands for Google Now. Note to self “buy milk” – Makes a note, along with a recording of it. Integrates with Keep! Do a Barrel Roll – Try it and find out! What is the answer to life, the universe, and everything? – A familiar one to any hitchhiker. What phase is the moon? – Tells you what phase the moon is in. Tell me a joke – Another fun one to try out the next time you are bored. Well, these are just some of the commands I find most useful. You can try and modify them to your liking, chances are, if it’s not too crazy, it will work! 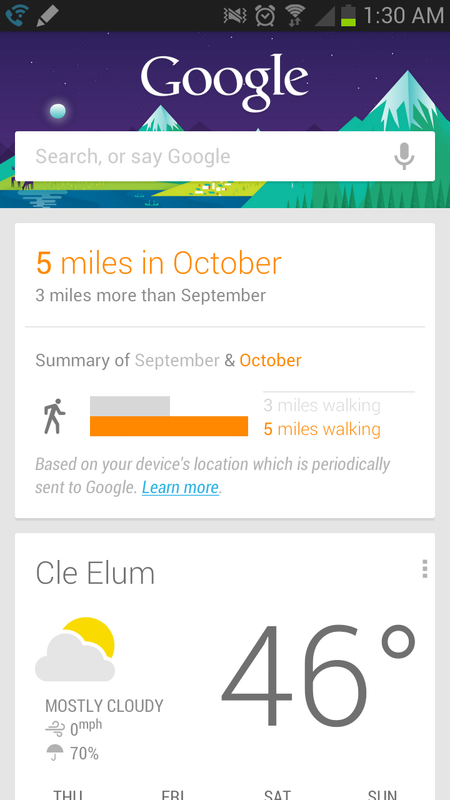 In addition to voice commands, Google Now also shows you a very useful set of cards. It usually only shows the weather for starters, but the longer you use it, it will start to realize where you work and show you the traffic, or realize where you usually shop at and show you information, that sort of thing. It’s kind of amazing, actually. To get more accurate information, you can fill in some of the blanks on the Settings of the app and let it know your favorite team, or where you work. Do you use any particular commands you don’t see listed here? Let us know in the comments! These are great. Thanks! New to Android, have a Note 2. Question… how do I retrieve a note once I make a “note to self”. Lol not too useful if I have no idea how to retrieve my notes. It says it integrates with Keep, which is an application.